When we promise someone that we will stay together forever, in today’s time, we hardly ever mean it. With time, relationships has also become a lot less withstanding. The growing number of divorces are a proof to that. If your faith is shaken in love, this couple from China will reinstate that lost faith. This couple prove that no hardship is too hard that true love can’t face. 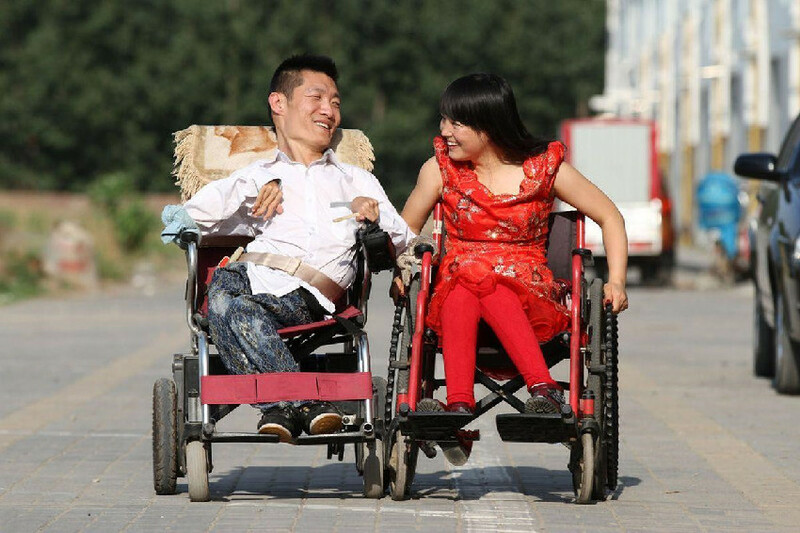 The wheelchair couple will make you teary-eyed after you hear their story. These two lovebirds have come together in spite of the disabilities. They are like all the regular couples. These two people have made the decision to not let their disabilities take the best of them. The husband was born without legs and the wife doesn’t have full control of her legs. They both are bound in wheelchairs. Be it wheelchairs or a bed of roses, they show us what true love looks like. 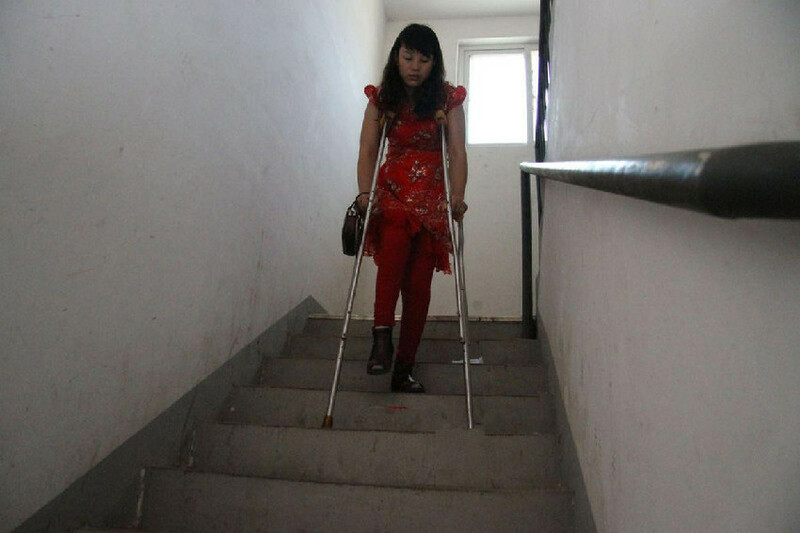 These differently abled lovers from China own an online store to sustain themselves. They manage this store from their home. Their house is hardly silent as they both share a common passion for music. Their house is always bustling with music or else they sign themselves. Such is the beauty of love. The wheelchair couple sure teaches us a thing or two. This lovely couple cherish what they have. They believe in living in the present. They enjoy each other’s company and keep themselves occupied with the store. This wheelchair couple love expressing their love for one another. The lovers respect each other and have tremendous care. Their respective families were against their relationship. They were sure that these two won’t be able to make their relationship long-lasting. Their determination have proved everybody wrong. The wife faces difficulties in moving her legs. She too needs a wheelchair in order to move fast. Now, she’s trying to train her limbs and make them strong so that she can look after her husband. Whenever it’s pleasant weather, they go out for a stroll in their wheelchairs. People look at them and raise fingers but they don’t pay head to that. The couple knows it’s difficult for others to understand their love. They’re all ready for the obstacles that life throws their way. They just know they will get through it. Love is a force that can can withstand anything. Their disabilities, the wheelchairs, nothing could bring them apart. It’s time to learn love from such inspiring couples.